The best part of this waterfall is being able to go behind the falls. It is amazing to stand behind the water seeing the power of the falls. The campground is also a nice place to camp. 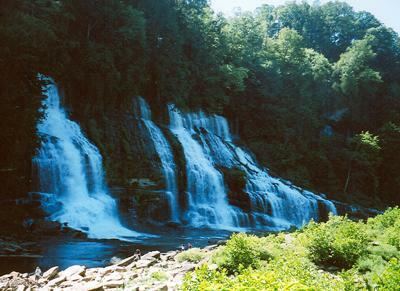 It is smaller and less crowded than nearby Fall Creek Falls. as in the case with Great Falls.